 Global Gallium Nitride Semiconductor Device Market to reach USD 29.2 billion by 2025. Global Gallium Nitride (GaN) Semiconductor Device Market valued approximately USD 17.01 billion in 2016 is anticipated to grow with a healthy growth rate of more than 6.2% over the forecast period 2017-2025. Increasing use of Laptops, TVs and mobile phones and other gadgets, growing need of low power consuming electronic appliances, demand for radio frequency in power electronics, energy efficiency in consumer goods, rising use of electric vehicle are the major factors which are driving the Global Gallium Nitride (GaN) Semiconductor Device Market. The Gallium Nitrite is basically a semiconductor that is used in the manufacturing of light-emitting diodes (LEDs), power devices and high radio frequency devices. A Gallium Nitride semiconductor has several benefits over silicon-based devices such as its operating temperature is very high, low resistance, high breakdown voltage and high-speed switching capacity that makes it a good alternative to silicon technology. With the use of Gallium Nitride, the production cost of integrated circuits has reduced. The GaN semiconductors are being used in transistors, amplifiers, diodes, switching systems, inverters and lighting industries. Moreover, the use of GaN semiconductors are growing in Defense, aerospace application and healthcare sector. The use of gallium nitride semiconductor devices are growing in various industries like consumer electronics, automotive, industrial and telecommunication and the rising use of electric and hybrid vehicle are setting new prospects in the overall growth of the GaN semiconductors market. However, the overall manufacturing cost of GaN semiconductor is very high as compared to silicon-based semiconductor and it is a reason for obstruction of Global Gallium Nitride (GaN) Semiconductor Device Market. The regional analysis of Global Gallium Nitride (GaN) Semiconductor Device Market is considered for the key regions such as Asia Pacific, North America, Europe, Latin America and Rest of the World. North America is the leading/significant region across the world in terms of market share. Whereas, owing to the countries such as China, Japan, and India, Asia Pacific region is anticipated to exhibit higher growth rate / CAGR over the forecast period 2018-2025. The industry is seeming to be fairly competitive. Some of the leading market players include Cree, Samsung, Infineon, Qorvo, MACOM, Microsemi Corporation, Analog Devices, Mitsubishi Electric, Efficient Power Conversion, GaN Systems, Exagan, VisIC Technologies, Integra Technologies, Transphorm, Navitas Semiconductor, Nichia, Panasonic, Texas Instruments, Ampleon, Sumitomo Electric, Northrop Grumman Corporation, Dialog Semiconductor, Epistar, RF Micro Devices Corporation, Osram Opto-semiconductors, Aixtron SE, Gallia Semiconductor, ROHM Company Limited and so on. Acquisitions and effective mergers are some of the strategies adopted by the key manufacturers. New product launches and continuous technological innovations are the key strategies adopted by the major players.